In a sharp plunge, market benchmark Sensex slumped over 475 points to 27,607.32 at mid-session as selling pressure gathered momentum, mirroring falls across Asia and a lower opening on European bourses following worse-than-expected economic data from China. Moreover, trading sentiment was dampened with minutes of the US Federal Reserve’s September meeting signalling a possible rate hike this year, brokers said. Besides, the rupee also plummeted by 41 paise to 66.94 against the dollar (intra-day) at the forex market, fuelling selling pressure in domestic equities. 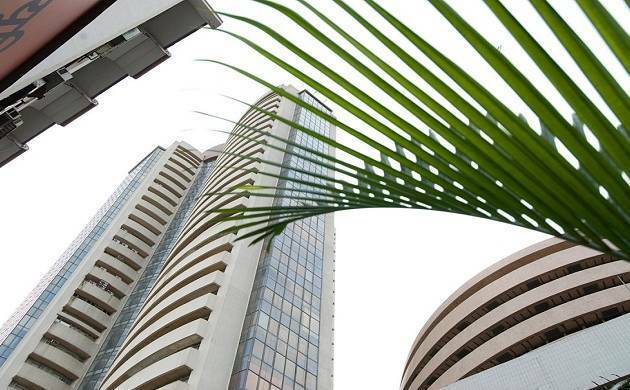 The Sensex, which had lost over 265 points in early trade, continued its slide and was quoting sharply lower by 475.02 points, or 1.69 per cent, to 27,607.32 at 1400 hours, with all sectoral indices led by realty, metal and consumer durables slumping by up to 3.28 per cent. On similar lines, the National Stock Exchange index Nifty broke below the 8600-mark by dropping 145.10 points, or 1.67 per cent, to 8,563.70. Most of the 30-Sensex constituents led by Adani Ports, Tata Motors, ICICI Bank, HDFC Ltd, SBI, Reliance Industries, Axis Bank, Lupin, Hindustan Unilever, Bharti Airtel,Coal India, Sun Pharma and Power Grid were rading in the negative terrain, falling by up to 5.23 per cent. In the Asian region, Japan’s Nikkei fell 0.39 per cent, while Hong Kong’s Hang Seng lost 1.67 per cent. European markets led by London, Paris and Frnkfurt too were in weak form and were down by up to 1.31 per cent in their early deals today.